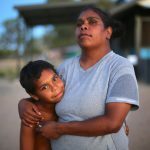 Thirteen Australian documentaries will be shown at the 2016 Hot Docs Canadian International Documentary Festival, taking place in Toronto from April 28 to May 8, including eight feature documentaries and five shorts – as well as a music video from Fell screenwriter and director Natasha Pincus. Putuparri and the Rainmakers, winner of the 2015 CinéfestOZ Film Prize, will have its international premiere at the festival and will be shown as part of the Made In Australia program. The other Australian documentary features in the festival program are Hotel Coolgardie, from director Peter Gleeson and producers Melissa Hayward and Kate Neylon; Chasing Asylum, from director-producer Eva Orner; In the Shadow of the Hill, from director Dan Jackson; The Opposition, from director Hollie Fifer and producers Rebecca Barry and Madeleine Hetherton; Zach's Ceremony, from director Aaron Peterson, writer/producer Sarah Linton and producer Alec Doomadgee; and Another Country, from writer/director/producer Molly Reynolds, writer David Gulpilil, writer/producer Rolf de Heer and producer Peter Djigirr. The Australian shorts selected for Hot Docs 2016 are The Strudel Sisters, by writer/director/producer Peter Hegedus and Jaina Kalifa; At Midnight, from director Amber McBride and producer Wen Yi Yan; Let’s Dance: Bowie Down Under, by director Rubika Shah and writer/producer Ed Gibbs; Shadows of Displacement from writer/director Perun Bonser and writer/producer Renee Kennedy; and Oh Canada, a music video from director Natasha Pincus. In addition, Media Stockade's documentary Disaster Capitalism has been selected to pitch in the 2016 Hot Docs Forum. Director Thor Neureiter's documentary was selected from more than 200 submissions from around the world to pitch at the forum, alongside teams from countries including Greece, USA South Korea, Finland, Pakistan, Canada and Israel. Two titles from Australian filmmaker Gillian Armstrong’s ground-breaking longitudinal documentary series will also be screened in the Hot Docs Redux program. These films follow three young women as they navigate their paths to adulthood. Smokes and Lollies (1976) introduces the audience to Kerry, Josie and Diana in working-class Adelaide, while 14’s Good, 18’s Better (1981) revisits the three women at age eighteen. “It’s terrific to be able to take so many great Australian documentaries to Toronto this year", Head of Business and Audience at Screen Australia Richard Harris said. In conjunction with the Made In Australia program highlighting documentaries from Australia, Screen Australia will host a delegation of Australian documentary makers to the complementary industry conference and market, especially targeting producers with potential projects for the pitching events. Screen Australia will assist up to five Australian producers with market-ready documentary projects to attend Hot Docs Deal Maker, a one-on-one pitch-meeting program for producers seeking financing from the international marketplace. Assistance is also available to attend Distribution Rendezvous, a series of pre-arranged, one-on-one meetings with distributors, sales agents and festival programmers for finished, nearly finished and rough cut films. The filmmakers chosen by Screen Australia will be provided with all-access passes, and up to $4,000 each for travel expenses. 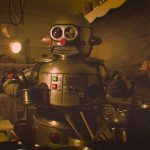 “Screen Australia is very happy to be able to offer this extraordinary opportunity for filmmakers to go to Hot Docs this year. They will be on the ground in Toronto, making contacts and learning from some of the best in the industry and it truly is an invaluable experience for them,” Harris said. More info from Screen Australia about the films going to Hot Docs is here.